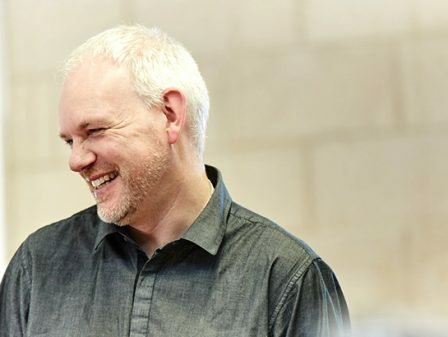 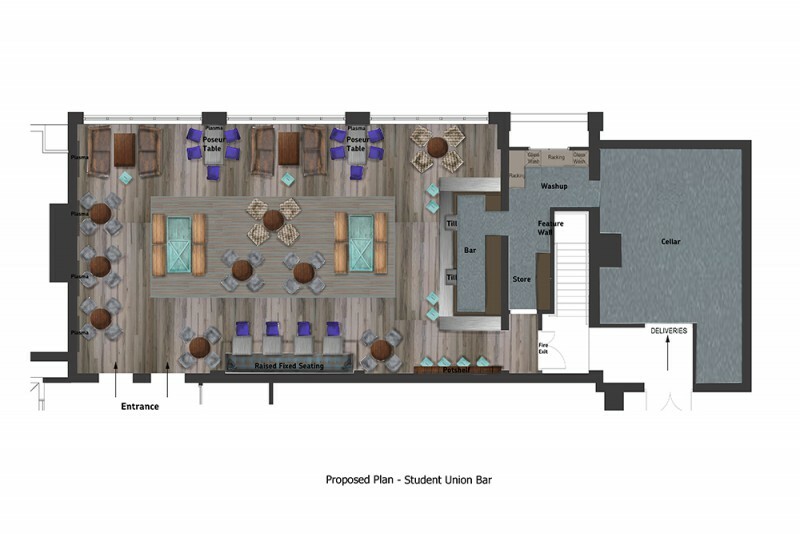 Part of the Strategic Campus Masterplan, the relocation of the Students’ Union to the heart of the Lord Mayor’s Walk Campus brings together core student facing services which will support and enhance the student experience at the university. 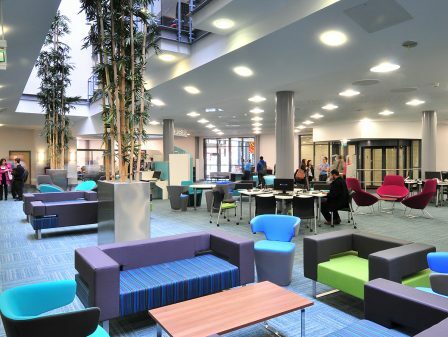 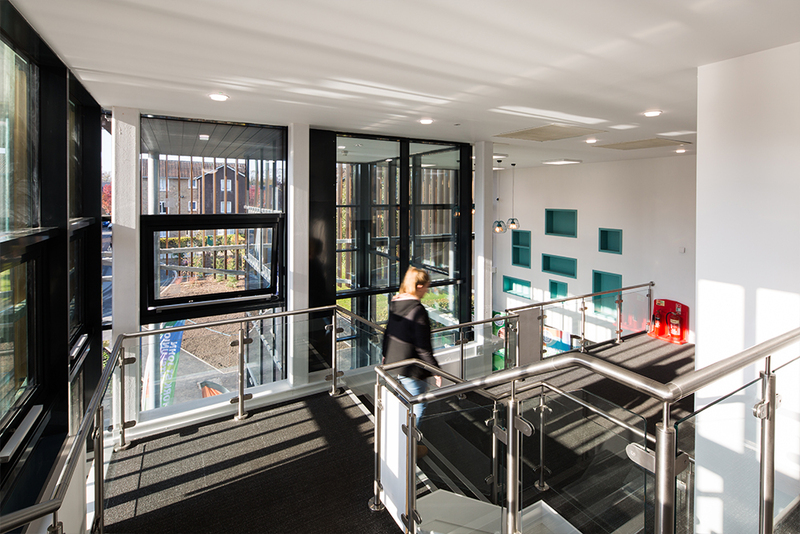 The new Students’ Union building at York St John University, completed with a modern and dynamic style, provides dedicated office and admin facilities for the Students’ Union along with a new reception for student services. 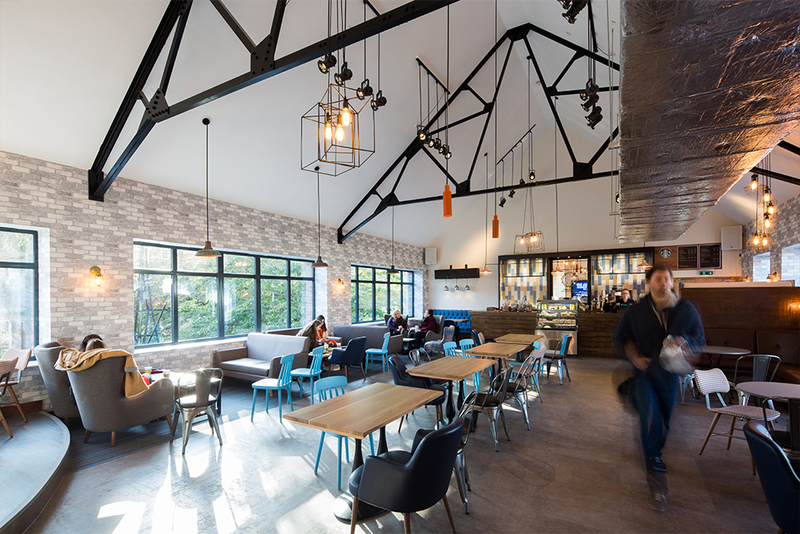 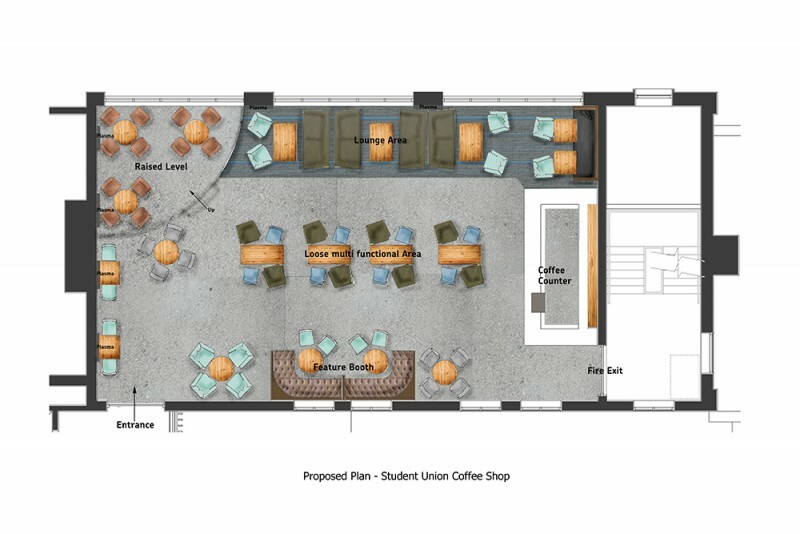 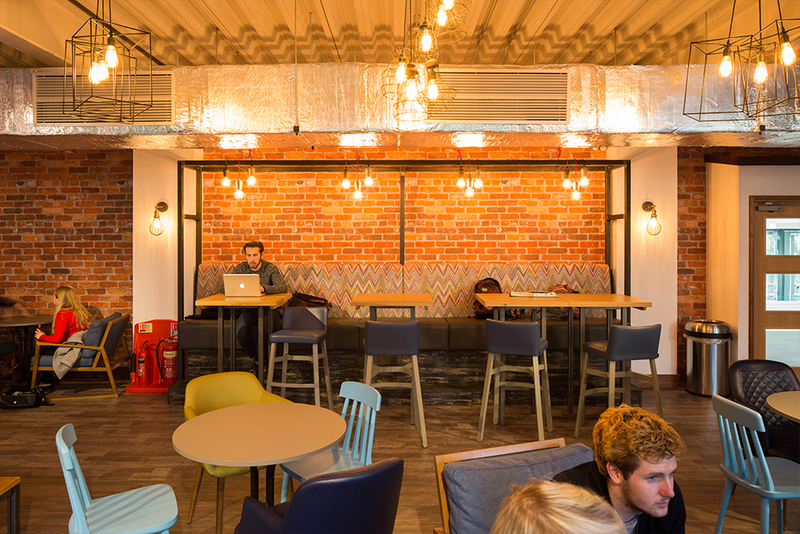 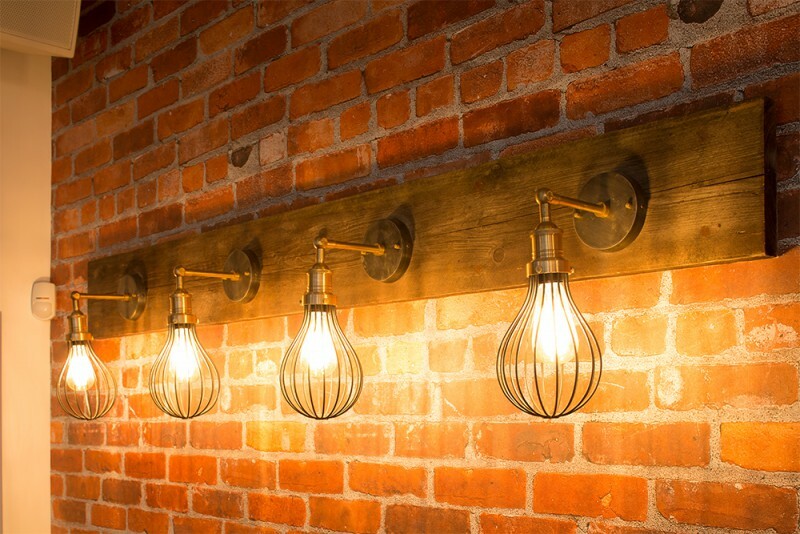 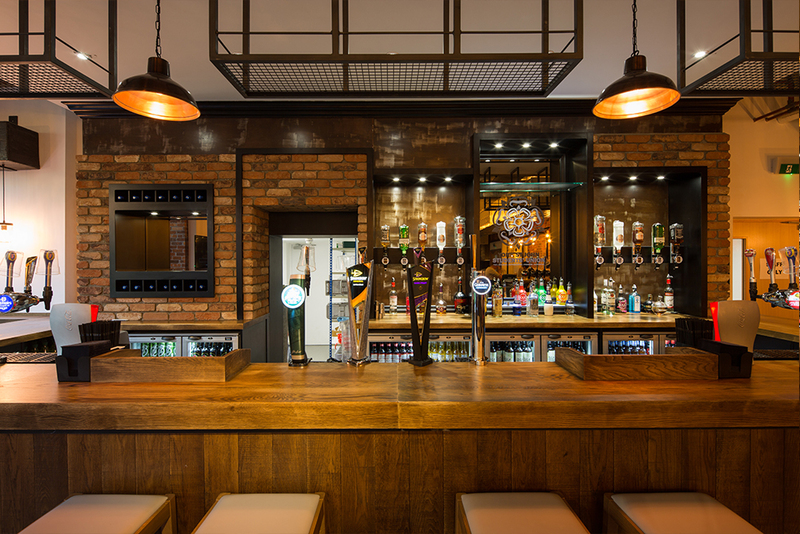 Situated opposite the recently completed dining room project, the state-of-the art Students’ Union houses a Starbucks coffee bar at first floor and a bar at ground floor, while the former art block has been transformed giving way to an events space for up to 400 students. 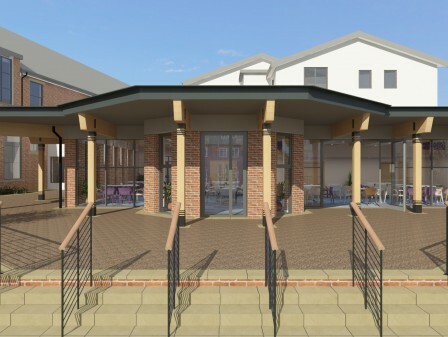 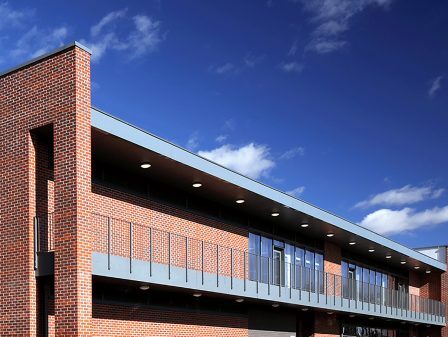 Built by Hall Construction Group, the design solution brings together two existing buildings where the resulting external façade is split into three elements; a rendered admin block to the left and render and Marley Eternit cladded bar areas to the right, brought together by the central timber Brise Soleil clad entrance. 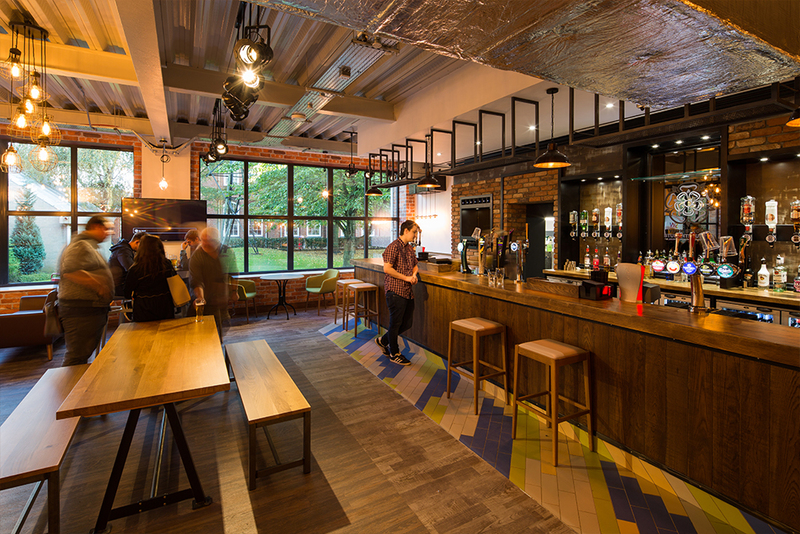 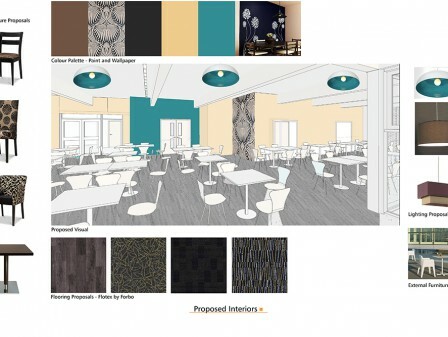 WBA worked closely with the University Estates Team, The Students’ Union and university students to produce a full interior design scheme for all elements of the building ensuring they met their requirements and aspirations for a contemporary and lively Students’ Union.